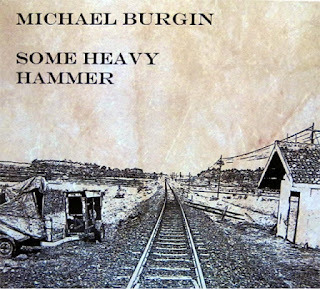 Atlas and the Anchor: Micheal Burgin - "Some Heavy Hammer"
Indie folk singer-songwriter Michael Burgin just self-released his fourth solo album, Some Heavy Hammer at the end of August this year and it comes hot on the heels of his 2011 album, Sick On The Noon Day Sun. Hailing from Western North Carolina, Burgin incorporates old timey music like blues and Appalachian folk while adding his own unique voice and hints of indie rock and a punk rock spirit, for a timeless yet modern Americana sound. Michael sings and plays guitar and harmonica and is assisted in the studio by Cyrus Atkins who provides backing vocals and lends his classical and resonator guitar skills to the mix. The album opens with the stand out title track, “Some Heavy Hammer” which features a cyclical fingerstyle guitar figure and the perfect introduction to Burgin’s raw and punk-infused vocals, which are reminiscent of Tim Kasher of Cursive and Conor Oberst of Bright Eyes. His witty lyrical wordplay is also on display as he cleverly references historical figures like John Henry, Joan Of Arc and Scarface and their mythical deaths, while he sings about having the strength to overcome a heartbreak. “Spade Is A Spade” follows with a train whistle-sounding harmonica, insistent acoustic guitar strumming and some howling vocals that ache with the pain found in the emotional lyrics. “Mole In The Ground” is a cover of the traditional folk tune “I Wish I Was A Mole In The Ground” which like Burgin, has its roots in the mountains of North Carolina. Originally written for and played on the banjo, he puts his own spin on the song by replacing the plucky banjo with wiry resonator guitar to great effect. Standout track, “Women” is built on the same strained, emo punk-informed folk foundation that Bright Eyes perfected with a driving guitar riff, a catchy refrain and some biting lyrics like, “I hope he breaks what’s left of your heart”. The fiery “Burning Out” solidly closes out the A-side of the album with a hopeful and anthemic call to arms to anyone suffering in a dead end job. And the second side of the album opens with another cover, this time of the traditional folk ballad “The Shadows Of The Pines” which like “I Wish I Was A Mole In The Ground” was also recorded by 1920’s Western North Carolina folk troubadour Bascom Lamar Lunsford, who also known as the "Minstrel of the Appalachians" and is an obvious influence for Burgin, and rightly so. Another standout, “It Doesn’t Work” is highlighted by the front porch jam-like interplay between the high-pitched resonator plucking and the steady, strumming acoustic guitar along with Michael’s snappy vocal cadence. Much like his other folk rock influences like, Bob Dylan and Billy Bragg, Burgin wears his political heart on his sleeve and “Something Like A War” carries on in that folk-singer-as-protest-leader tradition with some sharp-tongued commentary on the modern world. The haunting and melancholic “Warpath” continues in that snarling political vein, with heavy lines like, “You went on a witch hunt and made sure you found one”. The ten song album closes out with “I Take It All Back” and its chromatic harmonica scales, upbeat strumming and self-aware lyrics, leaving you wanting more. 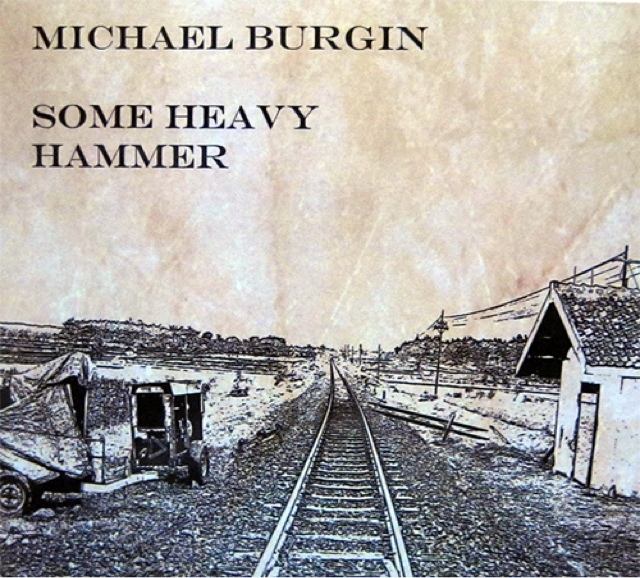 Although Michael Burgin has recorded four well-received albums, an EP and several singles all while making quite a name for himself in his native North Carolina, it is almost a crime that he has flown under the radar. But the solid songwriting and thought-provoking lyrics along with the memorable Americana melodies found on his excellent new album, Some Heavy Hammer, should finally gain him the recognition that he has worked hard for and deserves.